Virgil Kaine Lowcountry Whiskey Co. founder and CEO David Szlam understands the food and beverage industry in its entirety. 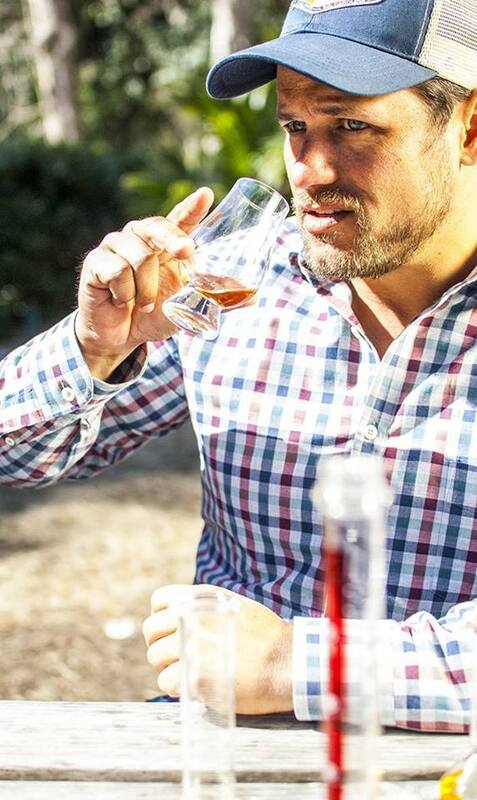 Educated at College of Charleston and later the California Culinary Academy, Szlam applies his passions and knowledge of whiskey and food to Virgil Kaine’s products. Thinking outside the barrel, Virgil Kaine is the product of creativity and experimentation to create whiskeys and bourbons with balanced flavors. Szlam began his culinary background in Charleston under Frank McMahon at Hank’s Seafood where he learned the basics of sauces, knife skills and, most importantly, his love of building experience through ingredients and flavors. In 2001, he moved to San Francisco where he sharpened his culinary skills working in various celebrated kitchens, including Roland Passot, Gary Danko and Daniel Humm. Missing his Lowcountry roots, Szlam relocated to Charleston in 2004, and opened Cordavi, a new American restaurant concept that gained national attention, making Esquire’s list of the Top 20 New Restaurants of America in 2005. In 2011, Szlam’s passion for whiskey prompted him to transition out of the kitchen and create Virgil Kaine, applying his culinary experiences to the process of blending and creating unique flavor profiles. The name Virgil Kaine is inspired by the man himself who, in theory, did not let tradition and the influence of his surroundings make him succumb to the visions of the Old South. Much like its namesake, Virgil Kaine whiskey steps outside of the barrel and the traditions of American Whiskey, adding blending and infusing techniques to make a new kind of whiskey that entered the market when there was nothing else of its kind available. When Szlam isn’t perfecting the art of whiskey at Virgil Kaine, you can find him on a boat drinking Natural Light or spending time with his wife, Chelsey, two sons, Harlan and Dylan, and their bulldog puppy named Biggs. Szlam enjoys fishing, gardening and BBQ.